Dog ownership can be a very rewarding experience, but just as important as the relationship is between pets and owners, is the relationship between pet owners and neighbors. Keep in mind that to a person who is afraid of dogs, even a friendly dog running up to them can be very distressing, and Chatham County has an enforceable leash law for this reason and more. Following are a few good reasons to keep your dogs on a leash. Be a good neighbor. A dog on a leash shows you are in control of your pet and that you respect those who wish to keep their distance from your dog. Whether intentional or not, your dog could bite, knock over, or injure someone. Legal action could arise, as most states have laws pertaining to dog owner liability. 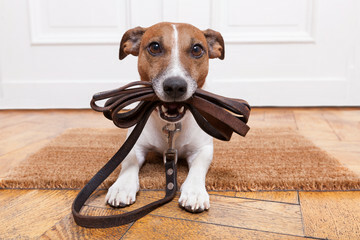 Keeping your dog leashed helps you control it and mitigates the circumstances, showing the owner is “exercising reasonable precautions”. Loose dogs get into more fights with dogs and other animals. Leashing your dog is a great way to show your affection to your pet, as the touch of it gives your dog definite assurance it is protected, loved, and wanted. It is a crime prevention device. A dog that is attached to you will ward off anyone seeing you out walking as an easy mark. It is the law. The Chatham County leash law is enforced at The Landings, and at all times household pets must be under their owner’s control. Noisy pets are a nuisance and are prohibited. Residents encountering problems should call Chatham County Animal Control (912-652-6575) to file a complaint and resolve this issue.